If you are having difficulty getting in and out of your vehicle there are a number of seating and transfer products Freedom Wheels can install. Swivel seats are elegant in design to blend in with the interior of your vehicle and can be installed in virtually any type of vehicle. 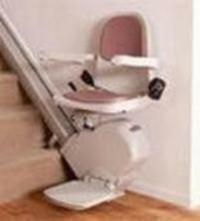 Other different types of lifts can help you lift and stow your power, manual chair or scooter. All of these products have been designed to interact with virtually any vehicle you choose. They can be installed to permit either a side or rear entry. 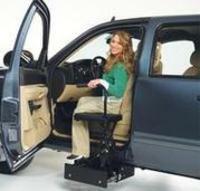 If your preference is for a lowered floor minivan we can customize most types of minivans. We all want to stay in our homes and that might require removal of barriers that impair our ability to fully access our homes. Or we may have relatives and friends with disabilities and we want to make sure they can easily access our homes. Freedom Wheels can offer you equipment and design solutions that will help you remain in your home and welcome all visitors. Freedom Wheels has staff that is skilled in assessing barriers to independence and making any needed modifications to make it accessible. Stairs do not have to be an impediment. We offer several different types of lifts that can help you get from one floor of your home to another, to your attic, to your backyard and into your swimming pool or spa. The lifts are designed to be elegant and blend with your home décor. 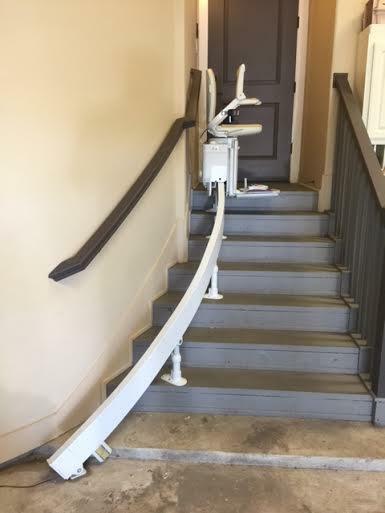 Freedom Wheels can install lifts on straight and curved stairs which can accommodate you sitting in or transferring from your wheelchair. Vertical platform lifts can be installed in homes. 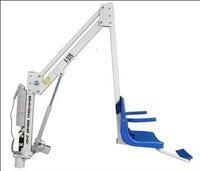 These lifts move straight up and down and can be used independently by the user. They can even be used to maneuver someone up to a third floor level. They can be powered by your household current or batteries. 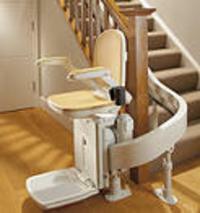 Freedom Wheels can build permanent ramps to permit access to interior and exterior areas of your home. 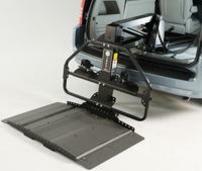 We also provide portable folding ramps for home and vehicles. Types include threshold ramps, bariatric ramps, suitcase ramps, multi-fold ramps, track ramps, and roll-up ramps. If opening a door is a barrier Freedom Wheels offers and can install a number of different types of power assist doors for your home. 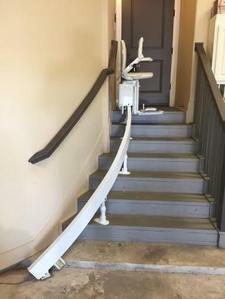 Public buildings in existence before the passage of the Americans with Disabilities Act (ADA) on July 26, 1990 are required to remove barriers in existing facilities (see Southwest ADA on Public Entities). So buildings older than 27 years must conduct "readily achievable barrier removal". This is an ongoing requirement so a business must regularly assess what they can do to make the part of their buildings where they welcome customers more accessible. A public entity must provide their customers access to their programs (see link above). There are building construction requirements for both public and private entities when either builds new or make alterations to existing facilities. These requirements are explained and broken down in the Southwest ADA’s Disability Law Index. Freedom Wheels staff can provide business and public entities with guidance and the resources they need to understand how the ADA and other disability related laws apply to them. 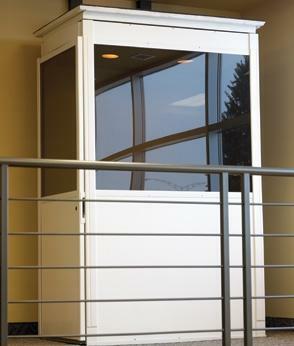 Vertical platform lifts can be installed in homes and commercial facilities. 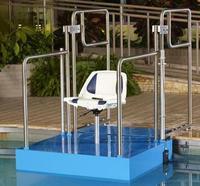 These lifts move straight up and down and can be used independently by the user. They can even be used to maneuver someone up to a third floor level. They can be powered by your household current or batteries. Freedom Wheels can build permanent ramps to permit access to interior and exterior areas of your home. We also provide portable folding, lightweight ramps and very small ramps that can help you manage different level thresholds in your home.